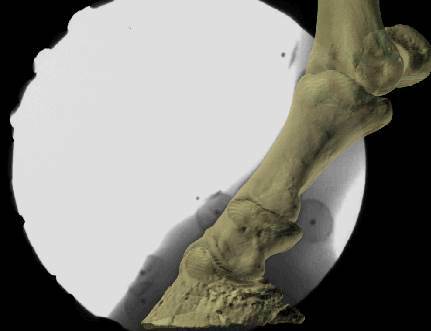 We developed a novel approach for this study that integrates three-dimensional data from biplanar radiography (XROMM), inverse dynamics, musculoskeletal modelling and finite element analysis to test the hypothesis that the most prevalent pathologies in animal feet occur in anatomical regions that experience the highest stresses during the mid-stance phase of locomotion. We provide our results from the application of this comparative approach to five species of hoofed mammals, ranging from pigs to elephants, to infer how foot form and function evolved, how body size relates to foot mechanics and what the consequences of foot structures and motions are for the risk of pathology. Panagiotopoulou O, Rankin JW, Hutchinson JR. Comparative biomechanics and pathology of mammalian feet: an integrative 3D analysis. 10th International Congress of Vertebrate Morphology Abstract Book S-062.